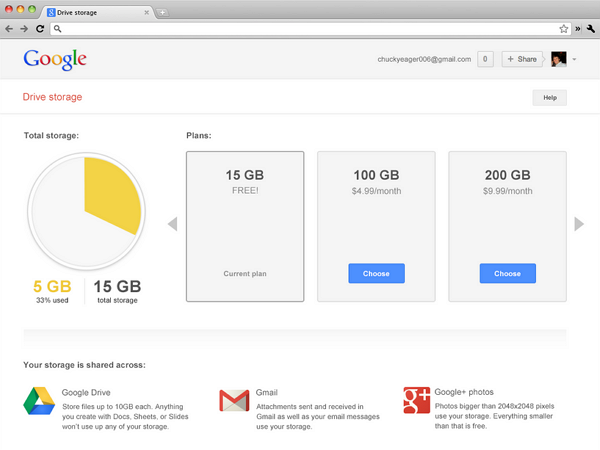 Google announced that now you will get 15 GB of free shared space across Gmail, Drive and Google+ photos. Instead of having 10 GB for Gmail and another 5 GB for Drive and Google+ Photos. 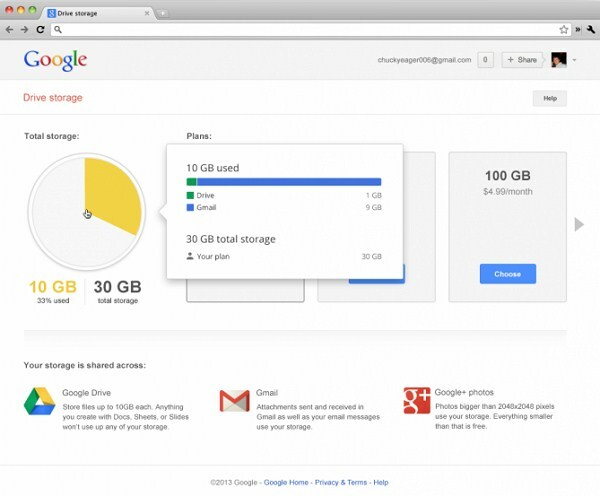 Google Apps users will get 30 GB of shared space between Gmail and Drive. "With this new combined storage space, you won’t have to worry about how much you’re storing and where. For example, maybe you’re a heavy Gmail user but light on photos, or perhaps you were bumping up against your Drive storage limit but were only using 2 GB in Gmail. Now it doesn’t matter, because you can use your storage the way you want." The company also updates its Drive storage page for easy to understand, if you have hover your mouse cursor pie chart shows breakdown of your storage uses across Drive, Gmail, and Google+ Photos.